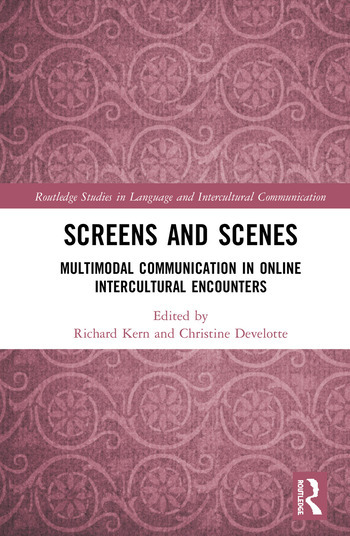 This book examines the relationships between online visual interfaces and language use in educational contexts and the features that underpin them to explore the complex nature of online communication and its implications for educational practice. Adopting a case study approach featuring a global range of examples, the volume uniquely focuses on multimodal intercultural interactions, with a particular interest in videoconferencing, to look at how they project and reflect particular cultural values and tendencies concerning language use and how they elucidate the complex cultural identifications and affiliations inherent in intercultural encounters. The book employs a diverse range of theoretical and research frameworks to highlight the dynamic connections between digital technology, social life, and language use, and the ways in which they can inform language education, making this an ideal resource for students and scholars in applied linguistics, communication studies, media studies, information studies, and education. Richard Kern is Professor of French and Director of the Berkeley Language Center at the University of California, Berkeley, USA. His pervious publications include Language, Literacy, and Technology (Cambridge University Press, 2015) and Literacy and Language Teaching (Oxford University Press, 2000). Christine Develotte is University Professor in Language Sciences at the École Normale Supérieure de Lyon, France. She is the originator of the online collaborative learning project Le français en (première) ligne, which has brought together tutors and learners of French from around the world since 2002.